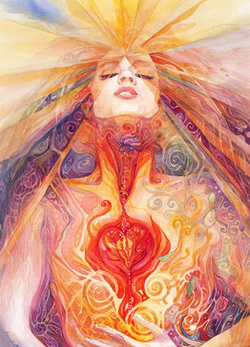 "In Energy Medicine, energy is the medicine and energy is also the patient. you also heal the body by restoring energies that have become weak, disturbed, or out of balance. This is because electromagnetic energies and more subtle energies form the dynamic infrastructure of the physical body." WELCOME! I'm so pleased that you are interested in learning more about Eden Energy Medicine and how to more naturally support your energies and your health. This will be a FUN day with lots of practice, helping you to immediately integrate the tools into every day living. This energy work has been so important in my life and I'm hoping you'll receive amazing benefits as well. The $125 fee covers all materials, handouts, and snacks. The workshop will be held at 8 limbs Holistic Health, LLC, 23 Broadway St. in Concord, NH. Any questions, please contact Shanti. Registration begins at 9:00 with class beginning at 9:15. We'll break several times for snacks and bathroom with BYO lunch in between. The day will finish at 4:30. NEXT DATE late July / early August. Please submit $50 deposit through Paypal below. Refundable 14 days prior to workshop. Registration: Complete to reserve your spot, along with a $50 deposit. A reminder notice will be sent a few days prior to the workshop. In the meantime, please block the date on your calendar.